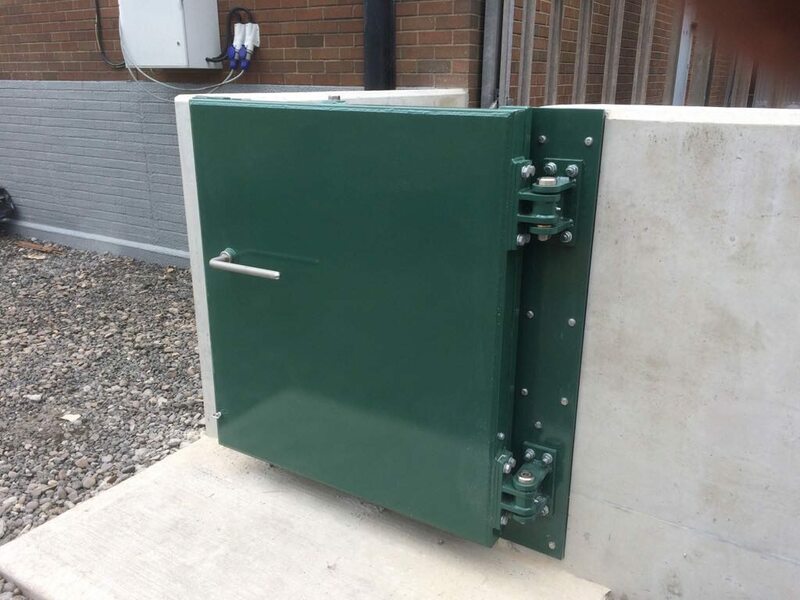 Protecting utility sites with permanently installed flood defences is held at the highest importance at both government and utility sector level. A high number of these sites are built in areas with flood risk and lessons have been learned from the past. Flooding in Gloucestershire and Worcestershire in 2007 almost resulted in a loss of power to 250,000 homes and left 350,000 people without access to water for several days. The response of the emergency services in such a crisis is heroic and limits its impact. However the need for such intervention is avoidable if suitable defences are installed to protect the assets. MME have extensive experience installing flood defences on utility assets. Our design knowledge and capability means we can add value before a project has even begun. The type of flood defences used depends on a variety of factors, such as flood height, site surroundings and client policies or preferences. 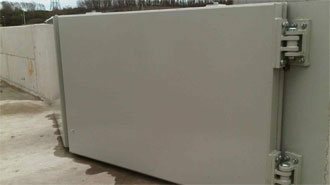 Constructing a large flood wall around the utility building and compound is one option. 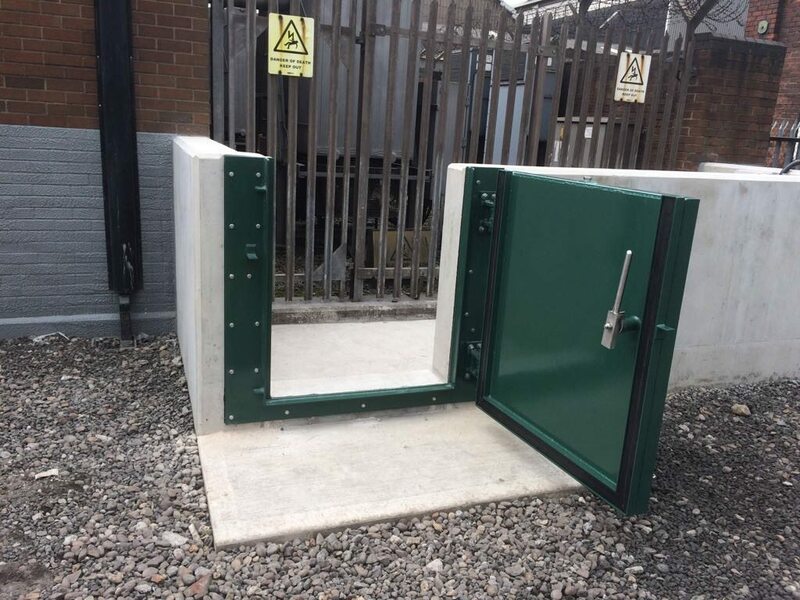 In this instance fabricated flood gates are installed to allow for pedestrian and vehicular access. 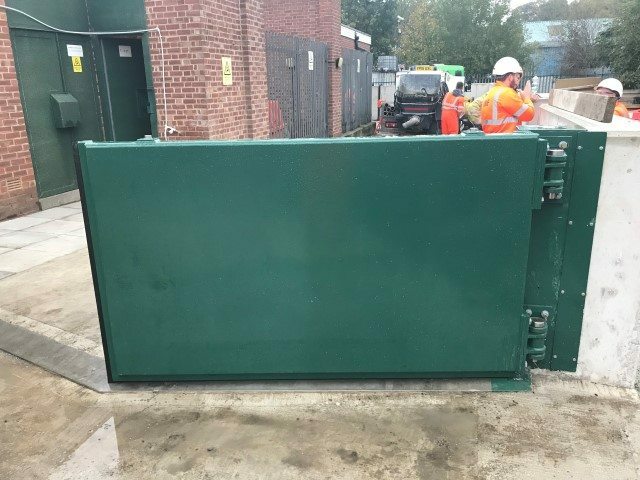 These products are designed to meet the exact needs of the site, signed off by a chartered engineering and manufactured to the same height as the flood wall to provide a complete flood defence to the utility site. In situations where a flood wall is not suitable MME can provide property-level flood protection to the site. The scope of this work depends upon the specific items are at risk. 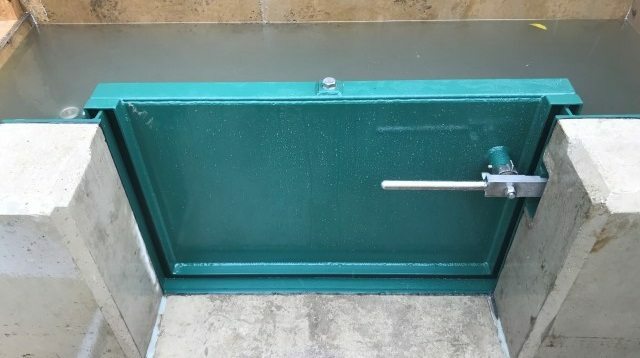 The products used in this instance typically are wall protection – the flood-proof membrane we specify is an instant set, fully bonded, rapid curing waterproofing system – and flood defence products such as flood doors and flood cabinets. 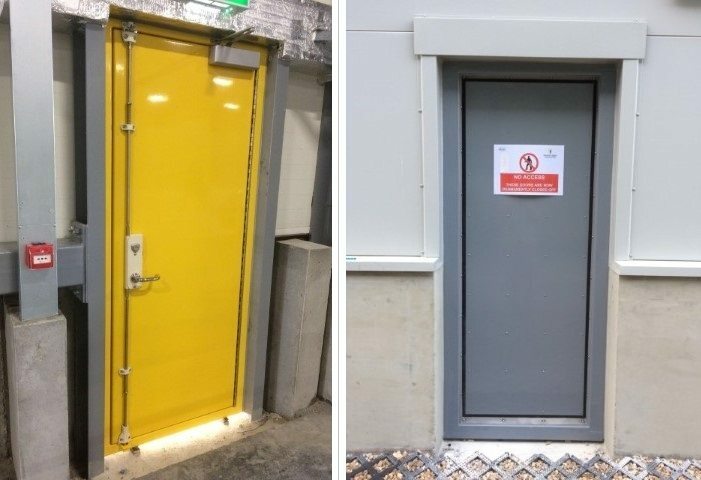 To ensure the customer has complete confidence in our products we offer on-site flood testing in line with PAS 1188:2014 on all our products. 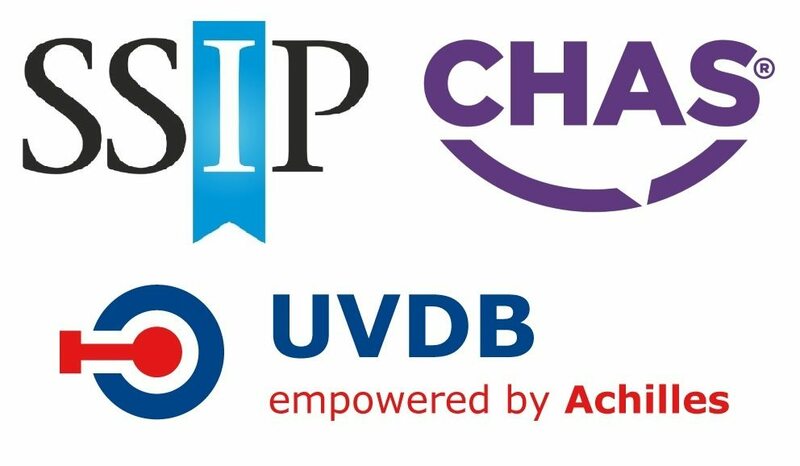 We’ve worked in partnership with a wide range of UK-based and multi-national civil engineering firms on utility flood defence projects. Our health, safety, quality and environmental policies and procedures are of the highest standard to meet the exacting requirements of working on high-risk and nationally critical infrastructure.